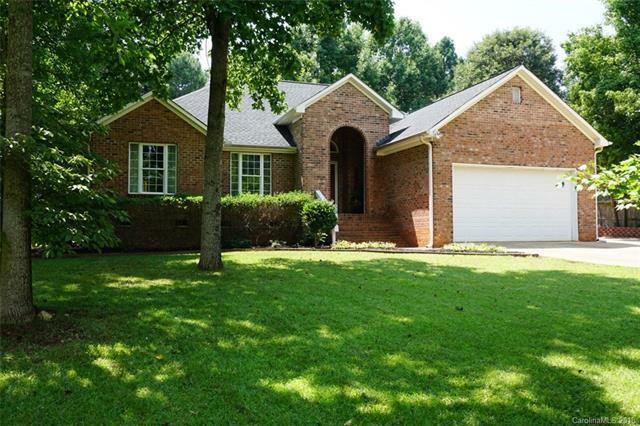 LIVE THE LAKE NORMAN LIFESTYLE FOR UNDER $300,000...Looking for a large lot with plenty of privacy and open concept floorpan perfect for entertaining family and friends? This house if for you. Located minutes from Stumpy Creek Boat Landing and the Stumpy Creek Soccer Complex and Park, you will have access to a place to launch your boat or kayak, while the Park and Soccer Complex are replete with walking trails, disc golf course and a playground. There is a large concrete parking area next to the garage which is perfect for storing a boat or RV without taking up valuable driveway space, you won't find this kind of space very often. This house also boasts a built in smoker and grilling station off of the back deck which is pre-plumbed for a sink and refrigerator. A new roof was installed in 2013, a brand new HVAC system was installed in 2018. Real hardwood floors throughout and open concept floorplan. This is a rare opportunity to enjoy the best of Lake Norman living. NO HOA.